While Victoria Ledford and Kassamira Carter-Howard were studying abroad in Morocco, unfamiliar men would often harass and catcall them. When a man followed Ledford home, she asked women in her host family for help. Men would yell at Carter-Howard as she walked down the street, calling her “Mama Africa” and the N-word. One man followed her home and tried coming up the stairs. She asked the School for International Training, the program organizing her trip, for help. But they directed her to a male therapist who she said dismissed her concerns. Carter-Howard and Ledford were among 35 students — four from Northwestern — who studied abroad on an SIT program in Morocco last fall. Students said street harassment was a frequent problem, and Carter-Howard said SIT was not properly equipped to deal with it. She and 15 other students signed an email to SIT’s Title IX coordinator in November saying the program staff had failed to adequately respond to their “repeated complaints of gender discrimination and sexual harassment,” according to a copy of the email obtained by The Daily. Taieb Belghazi, the Morocco program’s academic director, said the program does provide mental health resources to students who ask for help. Students, however, said the program lacked resources to help them navigate mental health and harassment issues that come from moving to a different country. In interviews with The Daily, students expressed similar concerns about a variety of study abroad programs, including ones in South Africa, Jordan and the Czech Republic. SIT, a nonprofit educational institution based in Vermont and Washington, D.C., operates a graduate school and study abroad programs for undergraduates. Many NU students travel on programs abroad run by organizations such as SIT. 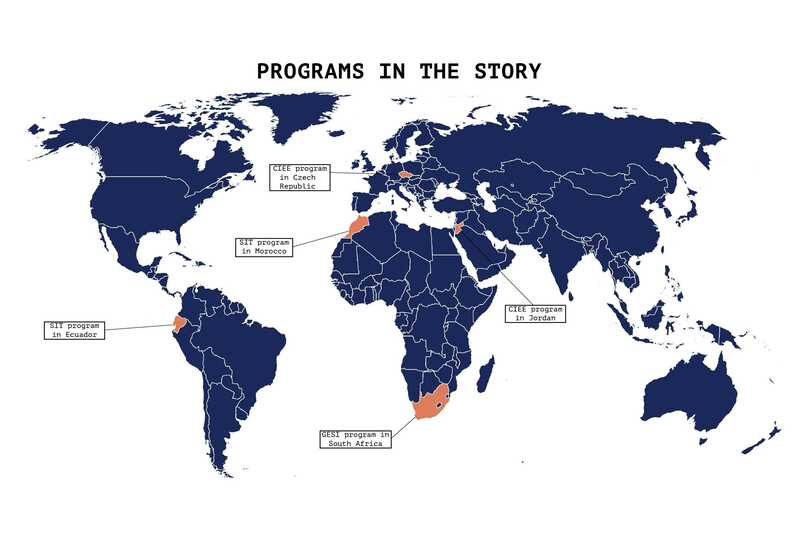 The Morocco program is one of 10 SIT programs affiliated with NU. Transylvania University junior Dakota Porter also experienced sexual harassment in Morocco and saw several of her classmates struggle to find resources. Students studying abroad in the Czech Republic encounter unexpected setbacks. Street harassment isn’t unique to Morocco. Barnard College junior Erin Quinn, who also attended the SIT program, said she experienced it in New York City as well. 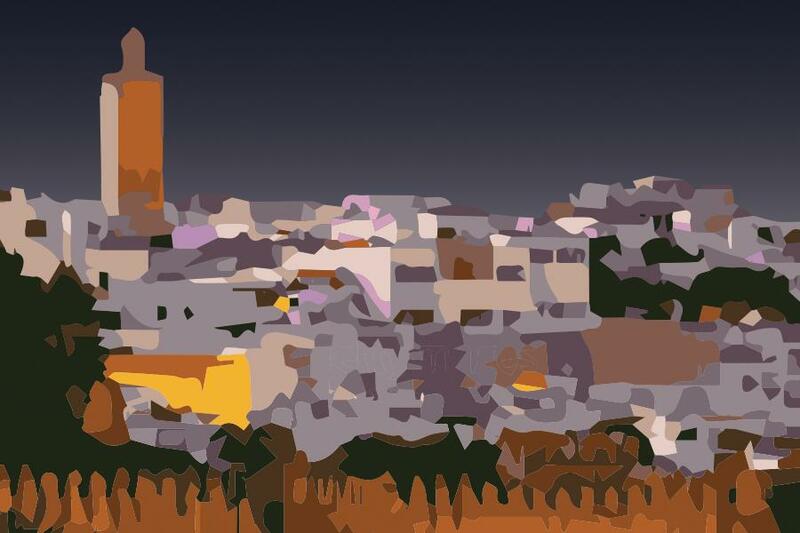 But she said the lack of streetlights and winding, narrow roads amplified it in the part of Morocco the students lived. “It just set it up to be the worst situation possible for a lot of women,” she said. One of the worst parts of the program was the lack of sufficient psychological support for female students, Quinn said. Women often came to class and cried because “there was no other safe space to do so,” she said. Four NU administrators traveled to Morocco in December to explore the possibility of starting a University-run program there and talk to students and staff on the SIT program. NU Study Abroad Office associate director Alicia Stanley was unable to disclose any concerns shared by individual students due to privacy laws, but she said the NU administrators had a lengthy conversation with staff in Morocco about how SIT will address concerns. “We do take it very seriously, and if a student felt physically in danger, we would want them to bring that forward and seek assistance from the program on-site, let us know as soon as possible so that we could also be involved,” she said. Moving forward, NU will implement additional check-ins with students aside from its own orientation to help them cope with anything they may be experiencing on the program, said Jessica Fetridge, assistant director of the Study Abroad Office. Stanley said no NU students are studying abroad on this SIT program this spring or next fall. Bill Anthony, director of the office, said NU takes students’ concerns very seriously. The University has an internal evaluation process for all study abroad programs, and every student has to submit a program evaluation to receive credit. A few years ago, a student reported the director of a program in West Africa was making “absurd” statements about health, safety and women, and Anthony said NU dropped the program immediately. “It’s incumbent on any office and any program to take fast action, whether it’s academic quality, safety, housing issues,” he said. After the Morocco program ended, Belghazi wrote to Porter, the Transylvania University student, and some of her peers saying the program had been “red carded” and may be shut down in the future, according to interviews with students and a copy of the email obtained by The Daily. Belghazi said “red carded” is not an official SIT status. However, some aspects of the program have been flagged because they require attention, he told The Daily. Stanley and Anthony both said they were unaware the Morocco program was “red carded.” Anthony added that he hopes students bring any complaints forward to the Study Abroad Office. “Had somebody said that this is a program that needs attention, we would have jumped in there feet first,” he said. After students reached out to SIT with their concerns, SIT sent a letter on Nov. 6 to students’ universities, Ledford said. Students on the program did not receive a copy, she said. The letter, sent one day after 16 students signed an email to the SIT Title IX coordinator, listed resources available to students, according to a copy obtained by The Daily. “It has been somewhat challenging for us to investigate these reports as we have recently received the first and only report of physical street harassment to our local staff,” the letter said. Students who emailed the Title IX coordinator, however, said they brought multiple complaints to administrators beforehand. Stephen Sweet, SIT’s Title IX coordinator, said he received two separate emails on Nov. 5 — one from a single student and another from a student who copied 28 others on the email. Both were addressed as Title IX complaints. SIT investigated and stopped the alleged incidents to the best of its ability, he said. The Nov. 6 letter said Belghazi met with students the previous day to reiterate the support mechanisms SIT has in place, and it mentioned other initiatives to support students as well. It also said that Said Graiouid, SIT’s dean for the Middle East, met with the students on the program. “Said Graiouid our Dean for the Middle East, is fully aware of the situation and has met with the group to address the concerns and will continue to address the issues with the students,” the letter said. In an email from Nov. 10 obtained by The Daily, however, Graiouid emailed the students and thanked them for meeting with him the previous day. Casa, the editorial manager, confirmed that Graiouid met with students on Nov. 9 but said the Nov. 6 letter does not indicate he had already met with students before it was sent to universities. Several students who attended other SIT programs said they felt supported by the on-site staff. McCormick junior Jesse Vega-Perkins, who traveled to Ecuador on an SIT program, said she had a great experience and felt prepared by the program. Sexual harassment happened in Ecuador as well, but students on Vega-Perkins’ program could seek help from Leonore Cavallero, an intercultural specialist for SIT programs in Ecuador, a country where Cavallero has spent a lot of time. Vega-Perkins said Cavallero addressed all non-academic concerns and helped her through a personal crisis that almost required her to leave early. Cavallero, who was raised in the U.S., said she leads sessions on cultural adjustment, living with a host family, appropriate behavior, safety and more. She said, as far as she knows, Ecuador is the only country in which SIT has an intercultural specialist. It’s “quite rare” for study abroad programs to have intercultural specialists, she said. Sometimes no one on the program staff is American and they have trouble understanding the issues students face when navigating a new culture, she said. “It’s difficult for the staff in other countries to really understand what’s going on for the students, that this is scary and that this is something that they don’t want to have to deal with, and they really don’t know how to deal with,” Cavallero said. Gabriela Carr, a Weinberg junior who went to Ecuador with Vega-Perkins, said Cavallero was only a phone call away at all times and was an important female figure for women on the program. “The vast majority of the programs don’t have this cultural liaison, which is sort of mind-blowing,” Carr said. Although not every SIT program has a formal intercultural specialist position, all staff are “dedicated to promoting and enhancing intercultural communication and competence,” Priscilla Stone, vice provost for study abroad at SIT, told The Daily in a statement. Cavallero said she wishes every SIT program had an intercultural specialist and hopes to train more SIT staff in Latin America to work with students who experience issues abroad. It is easy to forget that many problems students encounter abroad are not academic, she said. Students who studied abroad in Jordan and South Africa also encountered problems related to the way their programs addressed sexual harassment. Molly Benedict said NU’s pre-departure materials did not fully prepare her to study abroad in Jordan. Benedict, who went on a Council on International Education Exchange program last fall, said the pre-departure work required by NU focused on travel to Europe. The assignments were broad and not applicable to her experience in Jordan, she said. Prior to her departure, the Weinberg junior said she also attended an orientation session for all NU students traveling on CIEE programs. Most of the students at the meeting were traveling to Prague; Benedict was one of only three students going to Jordan. The session was not very helpful, she said. At the time, NU required students to attend a pre-departure session, Stanley said. The sessions were led by representatives from affiliated programs, NU study abroad peer advisers and students who had attended the programs. For study abroad organizations with which NU offers multiple affiliated programs, Stanley said the sessions are meant to cover all of those programs. NU no longer requires these sessions based on students’ feedback. CIEE had a thorough orientation in Jordan at the beginning of the program, Benedict said. The staff was supportive and available, and students were told how to react to situations such as taxi drivers saying inappropriate things. During her study abroad trip to South Africa last summer, gender discrimination was also common, Amanda Meyer said. Meyer (Weinberg ‘15) and McCormick sophomore SueSan Chen were two of nine students on their Global Engagement Studies Institute trip — eight were female. “We were at a rugby game when someone tried to buy one of our friends from us to marry,” Meyer said. Chen said men frequently catcalled her. She and her peers reached out to a program staff member for emotional support and were told the catcalling is a normal occurrence. Although it was good to know the catcalling wasn’t perceived as harmful, Chen said it was difficult to get on-site staff to empathize with the students’ discomfort. Patrick Eccles, associate director of global engagement programs at GESI, said NU’s partner organizations oversee and supervise students on GESI trips. Students are still in touch with NU faculty through Canvas and email, he said. Eccles did not recall receiving reports from students about problems in South Africa, but he said there is a broad network of support for students on GESI programs. He added that GESI focuses on supporting students’ well being while they are abroad. “We really focus on a holistic preparation for students so that they have emotional, intellectual and practical preparation before they go abroad,” Eccles said. Upon arriving in Rabat, the capital of Morocco, students had one sexual assault and harassment training, which didn’t adequately address how race and sexuality relate to harassment, said Carter-Howard, the Santa Clara University student. “As a black woman, I experienced a lot more harassment than a lot of my other peers and that contributed to my negative experience,” she said. With only male Moroccan psychologists available at first, students reached out to SIT for mental health support. Among the provided resources was a one-time Skype session with a counselor from SIT’s Vermont headquarters. Graiouid, the SIT dean overseeing the program, said last fall was the first time SIT received complaints regarding the lack of an on-site female counselor. He traveled to Morocco in November to meet with students about their concerns. In response to students’ requests, SIT added female counselors to its support network, said Belghazi, the academic director. In February, Michael Smallis, SIT’s dean of students, went to Morocco and trained staff on race, diversity and inclusion, Belghazi said. Training included workshops on sexual misconduct, street violence and other forms of harassment, mental health and disability support. The dean also reviewed the scope of resources available to students. Communication junior Irene Jiang said the street harassment seminar at the beginning of the program covered all the necessary information to deal with it. She knew the harassment was mostly harmless because the program told her what to expect. And limited mental health resources are endemic to Morocco, not just the SIT program, Jiang said. When her peers became frustrated with a lack of mental health resources, Jiang said administrators in Morocco “responded immediately” and SIT addressed each of the students’ demands. Jiang, who spent six months in Morocco because she participated in a different program over the summer, said things would have gotten better for the other students if they stayed in Morocco longer. She said she got used to the sexual harassment around the fourth month. Ledford said she never reached out to SIT for support, as she wasn’t sure if the organization could help her more than her host family did. “That said, it was pretty appalling, the lack of response that other students were receiving, because other students were having a much more difficult time,” she said. Men on the streets would often get uncomfortably close to Georgia Butcher, a junior at Colgate University, and comment on her appearance, particularly her blonde hair. Quinn, the Barnard College junior, reached out for support later in the program, but the male psychologists invalidated the experiences of students who explained that their interactions were traumatizing, she said. The psychologists said these problems are just a part of Moroccan life, Quinn said. Casa, the editorial manager at SIT, would not comment on conversations between staff and students. SIT has worked with two counselors in Morocco for several years and is “confident that their conversations with students are culturally sensitive and appropriate,” she told The Daily in an email. Quinn was eventually given the name of a female psychologist in Morocco, but she said they struggled to communicate due to a language barrier. “She gave me the same narrative of, ‘Oh, it’s just Morocco. The same thing happens to me. It’s just something that you have to accept that will happen here,’” Quinn said. She said Belghazi reached out to check in with her, and although he was supposed to function in an academic capacity, he went out of his way to also be a counselor and friend. Nonetheless, she said she thought there should have been additional support staff to address non-academic issues. Looking back on her time in Morocco, Quinn said she enjoyed being in the country but would have gone on a different program if she were to do it again. Porter recalled going on runs with Butcher, seeing men drive their cars slowly behind the two students and shouting from rolled down windows. Given that some students felt unsafe in the medina of Rabat — the area of the city where students lived with host families — Porter said there were better places for study abroad students to live in Morocco. Several programs are based at universities, where students live together, she said. “They are surrounded by other students in more secular and liberal areas of the city, whereas we lived in the medina, which is the most concentrated area of patriarchal, traditional, conservative views, and that definitely heightened the experiences we were having,” Porter said. Rabat is a UNESCO world heritage site with diverse architecture — while some parts were built in the 20th century, areas such as the medina are more than 800 years old. The medina is surrounded by high walls and contains traditional shops and cafes. In a Nov. 10 email to students on the Morocco program, Graiouid acknowledged living in the medina could be “overwhelming” and laid out initiatives to report and track incidences of street violence students experienced, according to a copy of the email obtained by The Daily. As of this term, SIT has also expanded its homestay options, and students can now indicate where they prefer to stay, Belghazi said. Ledford said she enjoyed parts of her time in Morocco, but has regrets about participating in the SIT program.